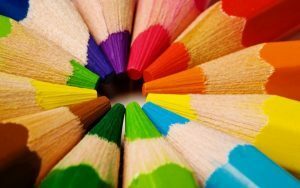 Coloring as an adult has been proven to lower stress and anxiety levels. Bring your own coloring pages and utensils or borrow ours! What could be better than great conversation and beautiful artwork? Bring your own coloring pencils, markers or pens and coloring pages. If you don't have any we have some available for you to use. Come join the fun! Come color with us every fourth Wednesday of each month from 3:00 to 7:00 p.m. Check the calendar for more details!